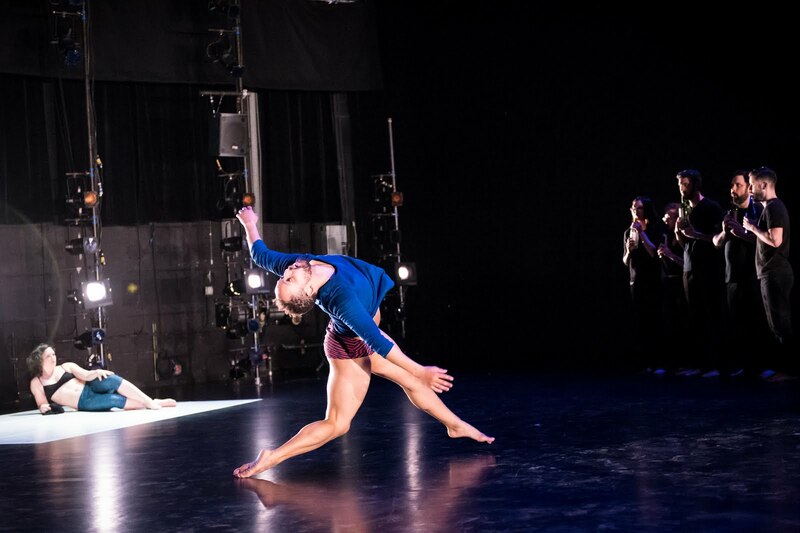 InfiniteBody: Rebecca Lazier and Dan Trueman: "There Might Be Others"
Rebecca Lazier and Dan Trueman: "There Might Be Others"
Going under the hood with a choreographer--to glean the fine details of how a performance was built, from first flicker of idea to Opening Night--can be useful. But I often think that inside peek is of primary interest to other dance folks. Now, at this point, I should be able to say something like, "The lay audience, on the other hand, is looking for results, and perhaps that hood can stay closed?" But look around. Who's usually sitting there? Other dance artists. How Rebecca Lazier made There Might Be Others, her formidable new presentation with composer Dan Trueman, has been extensively articulated, including a nearly 200-page museum catalog-quality book that documents and breaks down each component ("a field guide to a process of collective composition"), and Lydia Mokdessi's two-page "context notes" for the New York Live Arts season program. 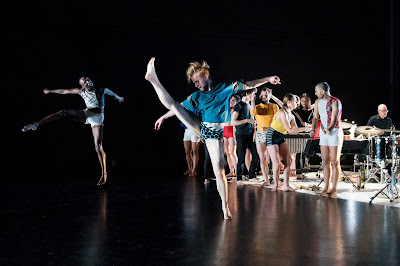 The inspiration of Terry Riley's IN C. The practice organized around "play, openness, indeterminacy, and performer agency." The "collections of 'modules' and cueing systems that sync and contrast...." These modules appearing and disappearing. 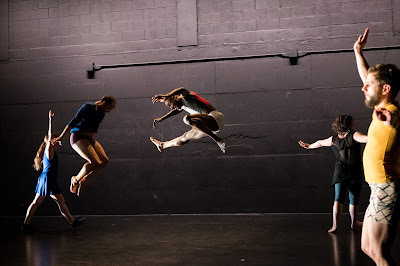 Leadership shifting among what can sometimes look like a cast of thousands from New York and abroad (fourteen dancers and nearly as many musicians often deeply integrated with the movers). "Subscores, metascores, layers of rules, discarded rules, discrete exceptions to rules...." Modules with "rules of fragmentation" and others that are "simply tasks." by the director and no one knows who it will be. Destroy what is happening in the space. Everyone can stop and watch or join. Cannot last longer that 1 minute. It takes a while to drill down to what Lazier eventually came to realize she was getting at with all these words and all this play--something about ethics and empathy, "how people relate to each other," breaking out of habits and shaping new patterns as a collective. Here's where I want to step up and see what she has to offer and say what I see. Lazier and Trueman and their respective performers show absolutely no hesitation to take over a big expanse of space or involve themselves in space that, conventionally speaking, would belong to one type of artist versus the other. Drivers don't stay in their lanes. Some of the ways musicians and dancers physically relate to each other are completely surprising and satisfying, and there's always something happening somewhere, usually in stark contrast to everything else. Attention-challenging performance for the attention-challenged! 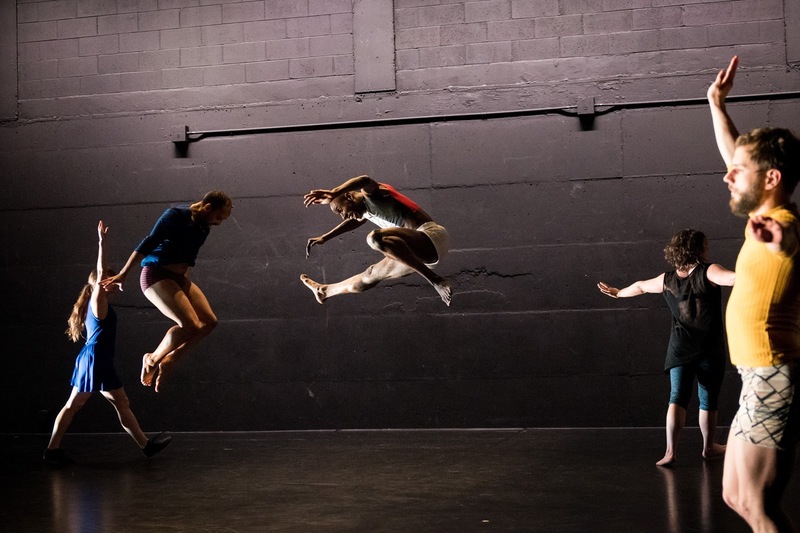 Lazier and her collaborating dancers show an apparent limitless store of movement ideas and zero fear about pelting them all over the space in eccentric ways. And beyond the space. There Might Be Others can be full-on sensory overload, including the sudden and lingering acrid aroma of dancer sweat right in your face. The percussion troupes have elemental powers that, if you're not careful, could kill you. Watch that bass drum, in particular. When it's struck like a taiko, hearts can skip beats. But from the softest shimmer to the jolt of thunder, the music is rich, evocative, often thrilling. 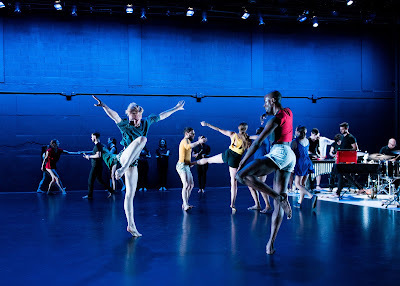 Davison Scandrett's lighting, which blithely reorders the normal timing of day and night on Earth, and certain primary colors in Mary Jo Mecca's super-casual costumes enhance the cartoonish, outlandish, nonsensical, habit-breaking movement. For her New York Live Arts debut, Lazier has gone big, supported by Trueman and all their performers in making a gutsy, unforgettable mark in this historic theater. It's unfortunate to have to say how exciting it is to see a woman choreographer work at this pitch for her first time in this space, but there it is. There Might Be Others might be intended--on an ideas level--as a model for other artists and for society itself. Maybe that's needed. But there's no shame in saying that, first and perhaps foremost, it's a phenomenal entertainment. Mobius Percussion and Sō Percussion, also performing tonight. Saturday's show will include members of Mantra Percussion. There Might Be Others continues through tomorrow with performances at 7:30pm. For information and tickets, click here.